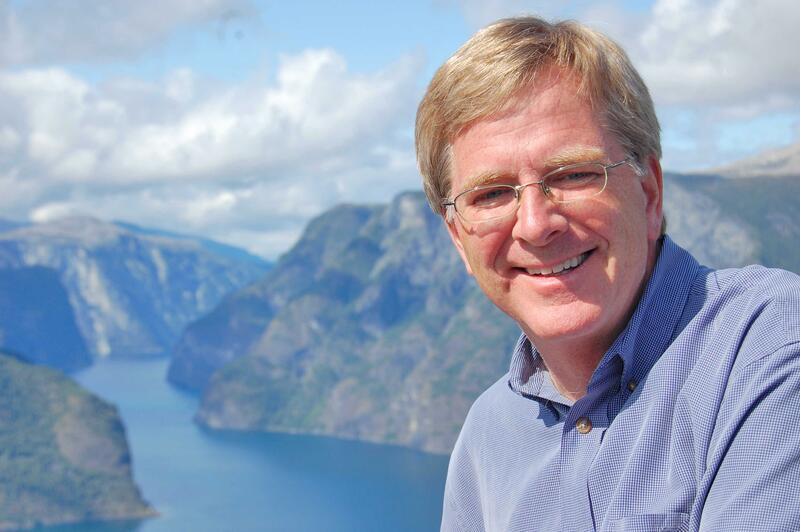 When: The Spokesman-Review’s Northwest Passages Book Club welcomes travel author and TV host Rick Steves at 7 p.m. on Nov. 29. Tickets: General admission is $10, with open seating. Get on the wait list at spokane7tickets.com. The great value of travel is the opportunity it offers you to pry open your hometown blinders and broaden your perspective. And when we implement that world view as citizens of our great nation, we make travel a political act. 2. Connect with people, and try to understand them: Make itinerary decisions that put you in touch with locals. Stay in people’s homes (check out Airbnb or Couchsurfing) and spend time with your hosts. Visit a university, eat in the cafeteria, and make a new friend. Seek answers for cultural riddles: Why do some Hindus feed their cows better than their children? Why do many Muslim women wear scarves? Why do Norwegians so willingly pay high taxes? 3. Be a cultural chameleon: Embrace cultural differences with joy rather than with judgment. Eat with your fingers in a Sri Lankan restaurant that has no silverware, dip your fries in mayonnaise in Belgium, smoke a hookah in Greece, kiss a stranger on both cheeks in France, or attend a hurling match in Ireland. Rather than gawking at pilgrims, become one. Climb Rome’s Scala Santa (Holy Stairs) on your knees, feeling the pain while finding comfort in the frescoes of saints all around you. 4. Understand contemporary context: While traveling, read the local news. Scan The Times of India in Mumbai. Go to a political rally in Scotland. Listen to expat radio on Spain’s Costa del Sol. Think about how all societies are on parallel evolutionary tracks. Imagine how the American approach to vexing societal problems might work in other places – and (more importantly) vice versa. 5. Empathize with the other 96 percent of humanity: Just like Americans have the American Dream, others have their own dreams. Put yourself in the shoes (or sandals, or bare feet) of the people you meet. Find out why Basque people are so passionate about their language. Drink with Catholics in a Northern Ireland pub, discussing the notion of the tyranny of the majority. As you travel, learn to celebrate the local Nathan Hales and Ethan Allens, such as Turkey’s Atatürk or El Salvador’s Oscar Romero. 6. Identify – and undermine – your own ethnocentricity: The U.S. has been preoccupied with terrorism for the last generation. But other nations have their own, sometimes heavier baggage. Ponder societal needs even more fundamental than freedom and democracy. Why is Putin so popular in Russia? Why would a modern, well-educated Egyptian be willing to take a bullet for the newest military dictator (as my friend in Cairo just told me)? Why, in some struggling countries, does stability trump democracy? 7. Accept the legitimacy of other moralities: Be open to the possibility that controversial activities are not objectively “right” or “wrong.” Consider Germany’s approach to prostitution or the Netherlands’ marijuana policy, both of which are based on pragmatic harm reduction rather than moralism. Get a French farmer’s take on force-feeding his geese to produce foie gras. Ask a Spaniard why bullfighting still thrives — and why it’s covered not in the sports pages, but in the arts section of the local newspaper. You don’t have to like their answer, but at least try to understand it. 8. Go sightseeing with an edge: Seek out political street art, and find out what it means. Read local culture magazines and attend arts and political events. Take alternative tours to learn about heroin maintenance clinics in Switzerland and maquiladora labor in Tijuana. Tour the alternative-living commune of Christiania in Copenhagen. Walk with a local guide through a slum in a developing country. Meeting villagers who live with little more than a spirit of abundance, ponder how so many rich people live with a mindset of scarcity. 9. Make your trip an investment in a better world: Our world has a lot of desperation, and travelers are the lucky few who can afford to experience what’s outside their hometowns. Travel with a goal of good stewardship and a responsibility to be an ambassador to, and for, the entire planet. Think of yourself as a modern-day equivalent of the medieval jester: sent out by the king to learn what’s going on outside the walls, then coming home to speak truth to power (even if annoying). 10. Make a broader perspective your favorite souvenir: Back home, be evangelical about your newly expanded global viewpoint. Travel shapes who you are. Weave favorite strands of other cultures into the tapestry of your own life. Live your life as if it shapes the world and the future – because it does. Believe that you matter. Then make a difference. Rick Steves is the author of “Travel as a Political Act” and more than 50 guidebooks and phrase books for traveling in Europe. He shared this story with The Spokesman-Review in advance of his Nov. 29 evening with the Northwest Passages Book Club. Published: Nov. 11, 2018, 5 a.m.